Are you ready? Of course you are. You are ready learn how to make a natural flea repellent and skin rinse. 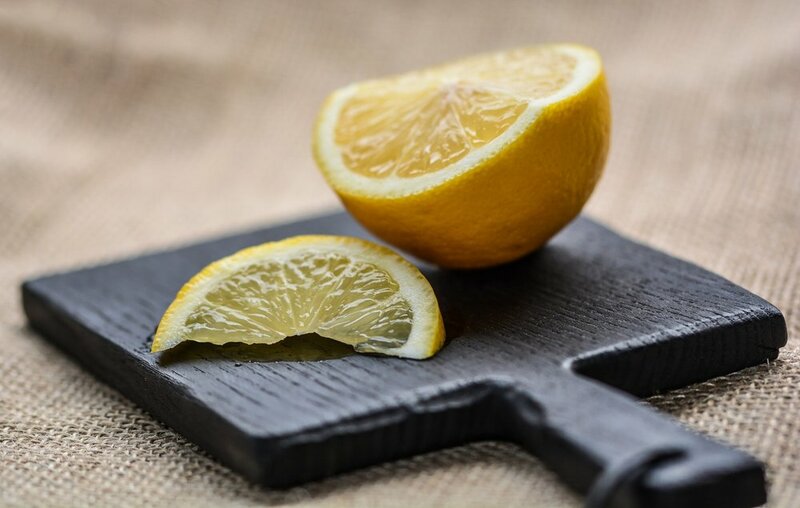 You will need 6 fresh lemons, a knife, a cutting board, a saucepan, a spray bottle, a large water pitcher and a liquid strainer. WOOHOO! Let's go!! 1. Slice your lemons into a medium sized pieces . 2. Fill the saucepan about halfway with water and add the lemons. Cook on medium-high until boiling. Let them boil for about 2 or 3 minutes, then turn the temperature down to achieve a low boil. 3. Let your lemons sit in the hot water for about 30 minutes or until cooled. 3. Place the strainer on the opening of the pitcher, and pour the lemons and water into it. 4. Remove the strainer, and discard the lemons. Then let liquid in the pitcher cool even more so that it is comfortable to the touch. Now pour the strained lemon water into the spray bottle. 5. Label it, and place it in the fridge . Use this water as a spritz right after you bathe furry kiddo. You can leave it on and just tell them dry. This spritz can also be used to relieve rashes and other skin problems your dog may have. In this case, you can rinse them off after you apply it if you would like to. I used this on my dog Emily for a short while to save money, until I could afford a prescription from her vet. We lived near a wooded area at that time, and she never got fleas! I have also used it on my new dog Graciela who use to battle grass allergies. But after rinsing her with it a couple of times, the rashes cleared up, and never returned!